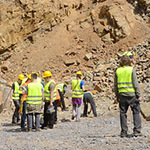 Collecting minerals is not like playing chess: it is more like driving. If you do stupid things and make bad decisions, you might get yourself or someone else injured or even killed. It is less painful to learn from mistakes of someone else. Smithsonite, aka zinc spar, is an uncommon mineral carbonate ore of zinc with the formula ZnCO3. It was rarely mined as a zinc ore, but its rich variety of colors and aesthetic specimens make it a highly valued mineral by many collectors. Titanite is a common titanium silicate, which can form outstanding and gemmy crystals. 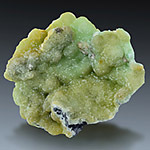 It is an attractive gemstone and collector material with vibrant green and yellow crystal forms. 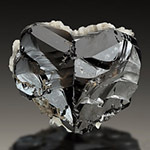 However, its low hardness and intrinsic fragility makes it unsuitable for commercial jewelry use, keeping it from becoming a mainstream product. 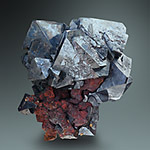 Cuprite is a minor ore of copper, usually appearing as secondary encrustations on primary copper ores. 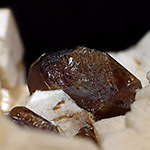 Nice and rare cuprite crystals are a popular among collectors. It is prized as a gemstone because of its vivid red internal reflection, but its softness precludes wide use in jewelry. Cassiterite constitutes the chief ore of tin, as well as highly aesthetic and popular collector specimen. Tin was a foundation of the beginning of metal smelting in the early Bronze Age and still constitutes one of the core materials of modern technology. 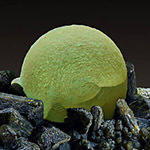 Prehnite is a common calcium silicate, which can form outstanding crystalline aggregates. Its nice crystal forms and pleasing colors make it a very popular among collectors. 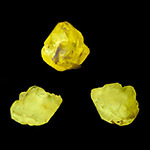 Prehnite is also used by jewelers and it is an important metamorphic index mineral. 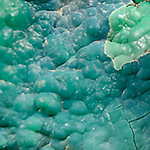 Chrysocolla is a bright colored hydrated copper sheet silicate and a minor ore of copper, usually appearing as secondary encrustations on primary copper ores. It is among the brightest of blue and blue-green minerals, accounting for its desirability. Cerussite is a popular mineral specimen because of its nice crystals, bizzare complex twins and bright yellow fluorescence. It is a characteristic oxidation product of the most common lead sulfide, galena. 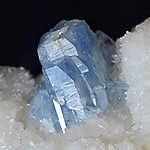 Celestine (aka celestite) owes its name to its delicate blue (celestial) color. 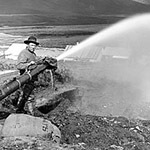 Although not a well-known mineral name, celestine has a certain cachet because the strontium it contains is famous for the brilliant red flashes it produces when used in fireworks.